In the past, the only way to obtain a record of previous military service was through the mail. You had to submit a written request and wait for a response.Today, you may still go that route to get the information, but thanks to the Internet it is less less time consuming these days. The form you need is DD 214, and it is available online. 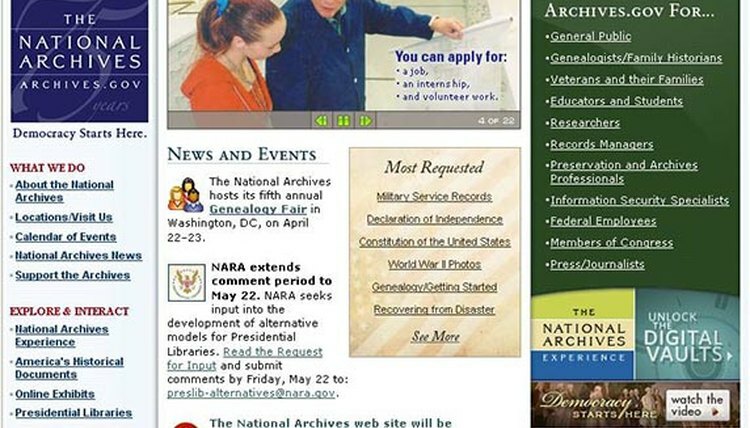 Navigate to the National Archives (see link in Resources). Select "Veterans and Their Families" from the menu at right. At the next screen, select "Use the eVetRecs request system." 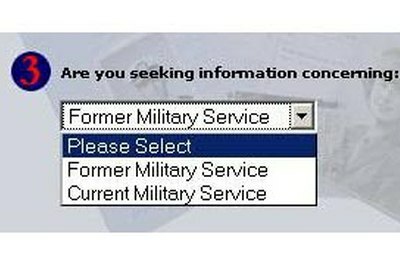 At the next screen, select "Request Military Records." Click "Continue" to begin filling out your request. 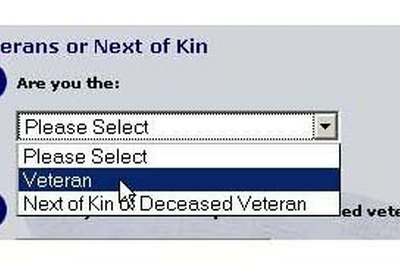 Chose "Veteran" or "Next of Kin." 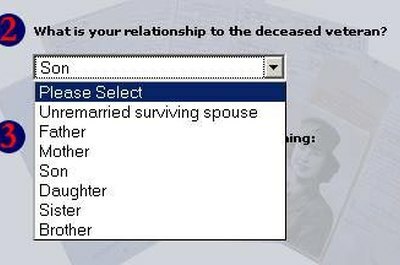 If you chose "Next of Kin," select the option best representing your relationship to the veteran. 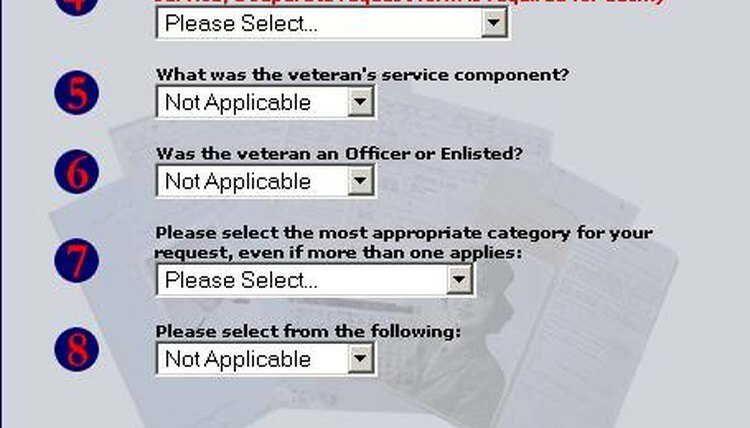 Skip this step if you chose "Veteran." Chose "Former Military Service" or "Current Military Service." Click "Continue." Indicate service branch, service component (Active, Reserve or National Guard), Officer or Enlisted and Reason for Request. Click "Continue." Enter the veteran's name and date of birth. Enter Social Security number, service number and approximate date he left the service if you know, or leave blank if you don't. Indicate whether you want a deleted or undeleted Report of Separation. 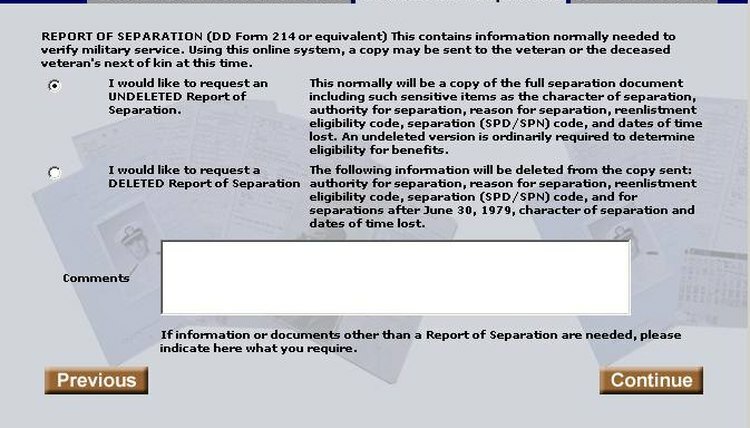 An undeleted RoS will include such items as the character of separation, authority for separation, reason for separation, reenlistment eligibility code, separation code and dates of time lost. A deleted report will not have this information. Enter your name, street address and email address. Click "Continue." At the next screen, review the information you've provided. Click "Previous" if you wish to make changes. Otherwise, click "Continue." Print, sign and date your verification form. 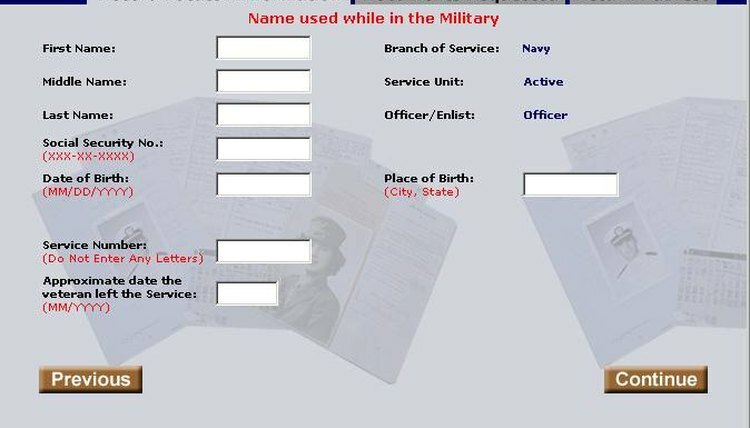 Under federal law, all requests for military records and information have to be submitted in writing by the veteran or next of kin. 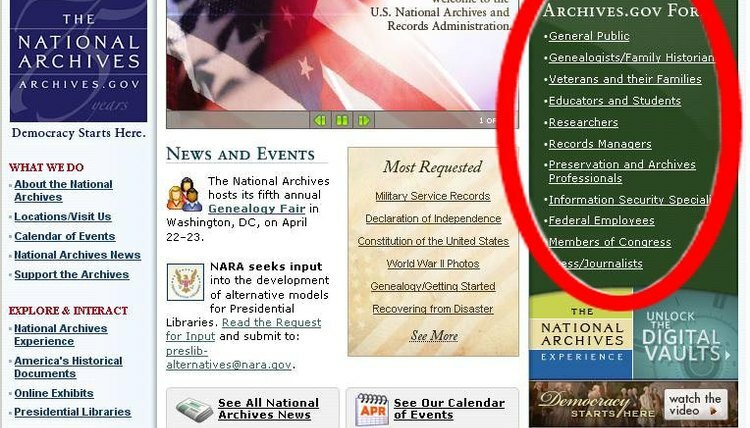 Mail or fax your form to the National Personnel Records Center for processing. 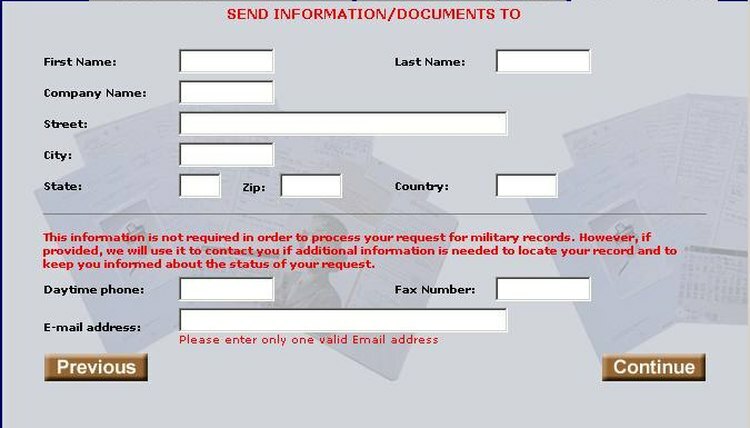 The address and fax number are on the form. Frank Rawland is in his mid-40s and counting. He has a BA in economics from Grinnell College (1987) and an MFA in Film Making from the School of the Art Institute of Chicago (1990). In 1997, VMS became the first commercial entity that paid him to write anything. Rawland, Frank. "How to Access a DD 214 Online." , https://legalbeagle.com/4964654-access-dd-online.html. Accessed 26 April 2019. What Is VA Form DD214?